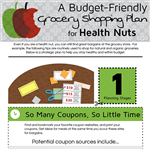 Here's a treat for foodies. These are the Best Food Tours in the United States that you'll want to join. C'mon, we know the real reason you travel. 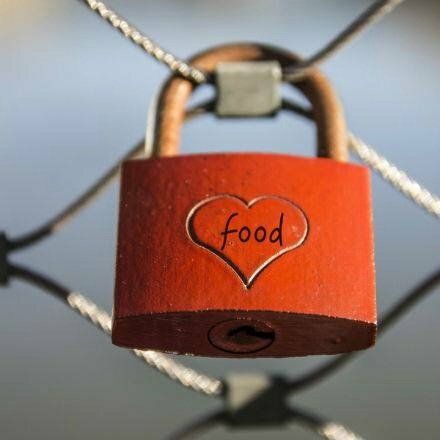 It's for the food. With time off from work, you get to indulge in new food delights, Instagram your findings, and remember each morsel as you reflect back on your trip. You may be the kind of person who saves all your credit card rewards specifically for your hotel stay or flight while leaving any extra paycheck dollars for new cuisines, can't-get-them-anywhere-else beverages, and delicious desserts. We're helping you — and your stomach — out with your culinary cravings through this definitive list of food tours you'll want to schedule the next time you're in one of these locations. Locals will take you around to the finest and most interesting eateries, and fill you up with lots of samples. Not sure where to take your next vacation? Something on this list will inspire you to book your next food tour — and build a vacation around it. 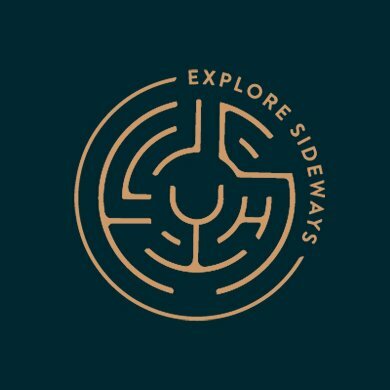 Explore Sideways offers immersive food and wine tours of Cape Town with expert guides who will take you to the city's hidden gems. Why Explore Sideways is a Top Food Tour: You can sip renowned wines while visiting some of South Africa's top vineyards, taste delectable cheeses, or sample the flavors of the culinary capital of South Africa, Franschhoek. Explore Sideways also offers up romantic tours, outdoor adventures, arts and culture tours, and much more. Ahoy New York Food Tours offers tours through some of New York's hottest culinary destinations, like Chinatown and Little Italy. Founder Alana Hoye Barnaba discovered her love of food in part thanks to her frequent visits to New York's famous ethnic neighborhoods, and is sharing that love through Ahoy. 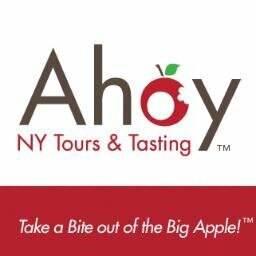 Why Ahoy New York Food Tours is a Top Food Tour: You'll get meal-sized portions to chow down on as you explore historical sites and out-of-the-way eateries with a professional guide. Their Taste of Mulberry tour is 3 hours, offering tastings from 5 different cultures, while learning about Mulberry's Street storied and secret past. FEAST offers food tours in Charlotte that help guests experience the wares of the city's best chefs, farmers, and artisans. Why FEAST Food Tours & Culinary Events is a Top Food Tour: They offer a range of six different tours, focusing on anything from Southern comfort food to brewpubs and chic cafes. 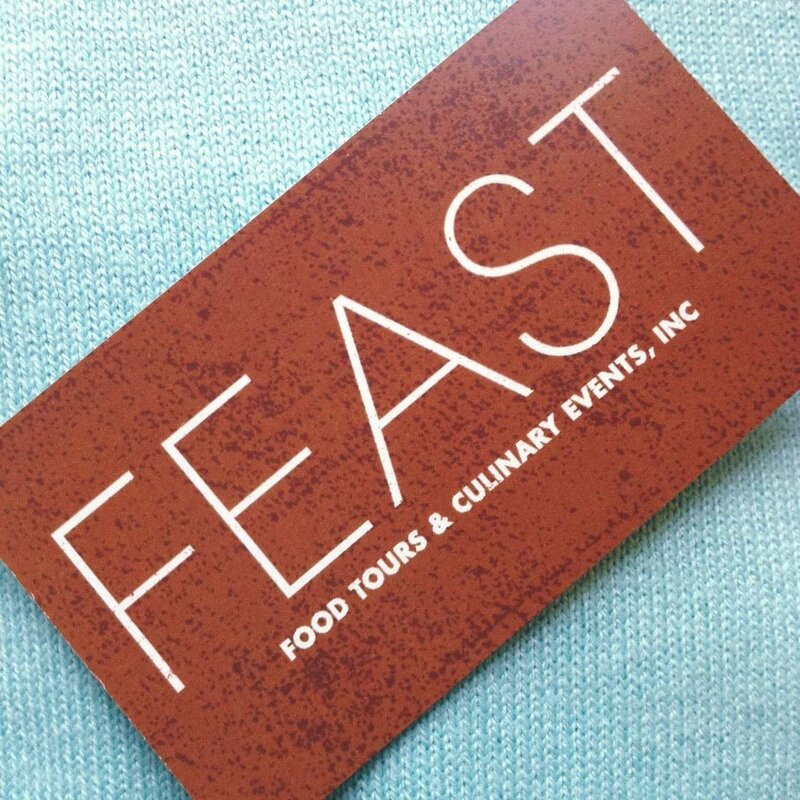 FEAST also offers customized, private culinary experiences for groups, and will work with you design the right tour. Local Food Adventures takes visitors on a culinary adventure through Oakland and the East Bay, where they can enjoy delicious eats and learn about the area's history and future. 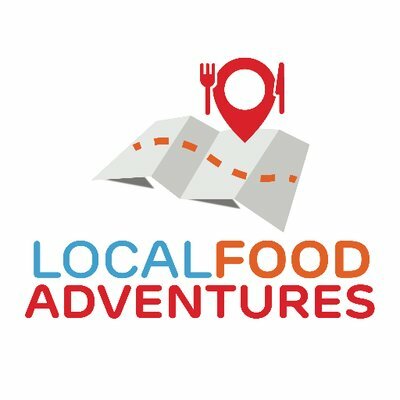 Why Local Food Adventures is a Top Food Tour: Their tours currently go through Rockridge, Grand Lake, and Lafayette, stopping at multiple unique foodie destinations along the way in each tour. If dessert is more your speed, they even offer a Rockridge Ice Cream and Gelato tour. Six Taste Food Tour introduces its guests to diverse food, culture, and history in one of Los Angeles' many neighborhoods. Founder Sally Tiangco, who grew up in Southern California, loves exploring the food scene in Los Angeles and created Six Taste Food Tour to share her city's cuisine and culture with others. Why Six Taste Food Tour is a Top Food Tour: Whether you want to get to know the city long-term or are visiting for just a few days, this company's tours will show you the sights and let you taste the flavors of not only Hollywood and Santa Monica, but Thai Town, the Arts District, Sawtelle Japantown, and more. Each tour includes over 10 unique tastings at anywhere from 5 to 7 restaurants, allowing you to sample a range of unique and staple foods. Taste of New Haven offers up a wide range of food tours exploring various aspects of the culinary scene in the Connecticut city. Why Taste of New Haven is a Top Food Tour: If you want to indulge your sweet tooth, test some tapas, or chow down on some of New Haven's best pizzas, you'll find a tour to suit your tastes here. Their unique Live to Eat tour even combines great good and drinks with a little education about healthy eating, teaching participants about nutritious food as they taste it. 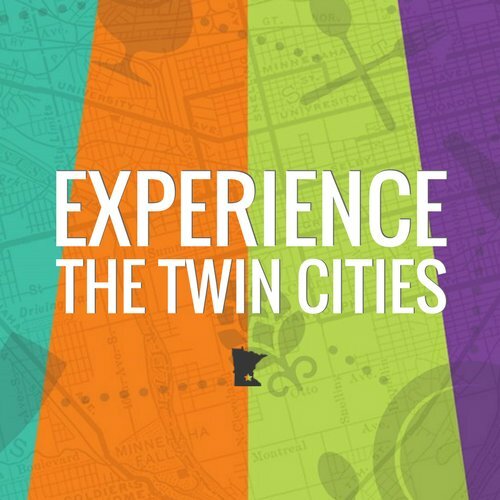 Taste Twin Cities offers public, private, and corporate food tours in Minneapolis and St. Paul. Why Taste Twin Cities is a Top Food Tour: Explore Minneapolis' stunning Skyway by way of quaint local eateries, or check out the historical ""Nordeast"" neighborhood's down home grub. Walk along the Mississippi River in the heart of St. Paul, take Minneapolis' only pizza tour, visit one of the many breweries in the Cities, and more. Taste Carolina Gourmet Food Tours lets guests explore the historic cities of North Carolina on a walking tour of some of their very best restaurants. Owner and co-founder Lesley Stracks-Mullem is a lifelong foodie with a passion for finding the best off-the-beaten-path eats. Why Taste Carolina Gourmet Food Tours is a Top Food Tour: They offer both public tours and private and corporate custom tours in Raleigh, Durham, Wilmington, Charlotte, and other cities. Each tour focuses on gourmet, locally-made food and drink at multiple stops as you explore your chosen city. Secret Food Tours takes folks off the beaten path in some of the best foodie cities in the entire world. Why Secret Food Tours is a Top Food Tour: From Bangkok to Lisbon to New York and beyond, their expert guides will help you navigate the cities and languages and bring you to some of the best hidden foodie spots around. If you're the kind of traveler and eater who loves hunting down the new, the unusual, and the unknown, this is the tour company for you. 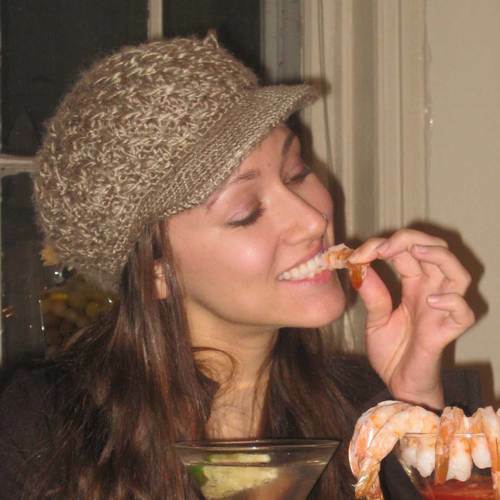 Foods of NY Tours has been one of New York City's premier food tour companies since 1999. Founder Todd is lover of eating and exploring in the city of New York, and loves nothing more than a perfect slice of New York pizza. Why Foods of NY Tours is a Top Food Tour: Their range of tours covers just about every aspect of dining in New York, from Chinatown to Greenwich Village to Little Italy to Brooklyn. In three hours, you'll not only get a culinary lesson, but a lesson in the history and culture of the neighborhood you're touring, brought to you by fun, entertaining guides. Eat This, Shoot That. is a food tour through Santa Barbara, California, that's all about eating great food, drinking incredible wine, and taking FOMO-worthy photos as you do. 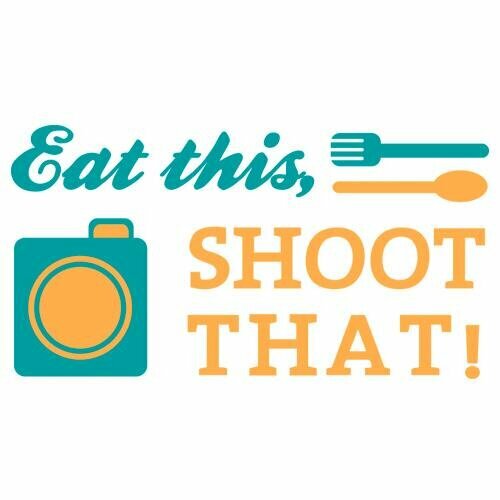 Why Eat This, Shoot That! is a Top Food Tour: You can take a tour through Santa Barbara's hippest foodie neighborhood or savor local wines. 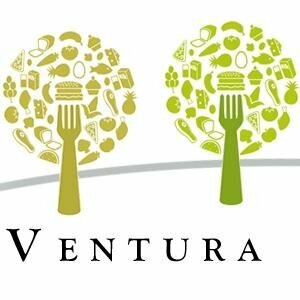 Their goal is to support local, independent businesses, including eateries, shops, farms, and tasting rooms, and to share the culinary experience that makes Santa Barbara unique. Riverside Food Tours in Cincinnati offers a VIP tour through some of the city's finest restaurants and eateries in several different neighborhoods. 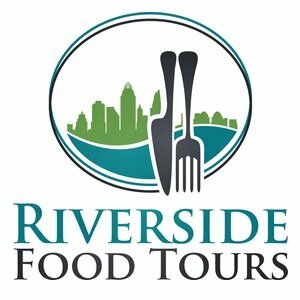 Why Riverside Food Tours is a Top Food Tour: You'll not only get to stop in at several different privately-owned restaurants, but also learn about the history and culture of the cities and neighborhoods you explore. They also offer customized private tours for a group of you and your friends; perfect for parties, events, or just for fun. Charleston Culinary Tours takes visitors on a tour of the Lowcountry's acclaimed dining scene. Why Charleston Culinary Tours is a Top Food Tour: You could take their Upper King Street Culinary Tour through one of the city's most historic neighborhoods, recently named one of the Top 10 Food Neighborhoods in America. 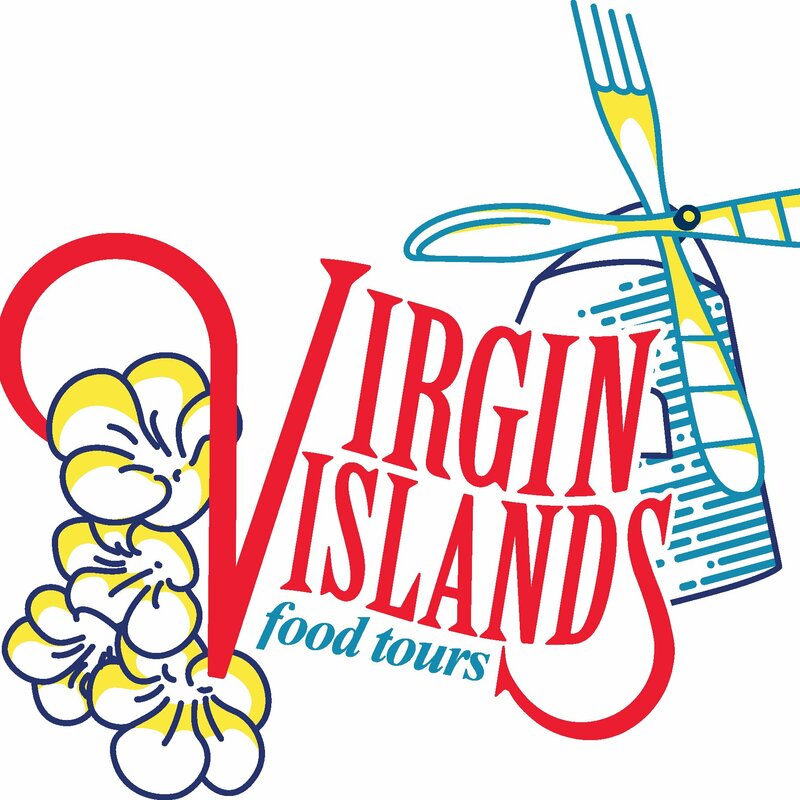 Virgin Islands Food Tours allows visitors to taste cuisine from six different restaurants in St. Croix and learn why it's known as the culinary gateway of the Caribbean. Founder Anquanette Gaspard is a Crucian-born entrepreneur whose love of food was inspired directly by her Caribbean upbringing; she loves sharing her island's food, culture, and history with its many visitors. Why Virgin Islands Food Tours is a Top Food Tour: You'll sample local favorites like the famous "bush tea," eat at hidden gems the locals love, and learn about the island's fascinating history. If you love sampling food from local shops and restaurants, getting to know a culture's food and drink (like famous Caribbean rum), and more, this is the tour for you. Chicago Detours offers walking tours of downtown Chicago and historic Chicago neighborhoods with a focus on architecture, history, food, and drink. Founder, Executive Director, and Tour Guide Amanda Scotese studied all things Chicago while pursuing her M.A. at the University of Chicago, and loves sharing her knowledge of the city with others through travel writing and her tour company. Why Chicago Detours is a Top Food Tour: Explore downtown, Wicker Park, and other famous locales while learning about historic buildings and sampling delicious eats along the way. Their Historic Chicago Walking Bar Tour, meanwhile, offers a chance to explore Michigan Avenue through the eyes of the past, focusing on Chicago's history with jazz and Prohibition. Savor Ann Arbor provides tours and tastings for foodies, beer lovers, and chocoholics in this Michigan city. Founder Marcie is an Ann Arbor resident and lover of the city, and enjoys showing off her home to all comers. Why Savor Ann Arbor is a Top Food Tour: This company offers a huge number of options to fit just about any taste, from mixology to fine food to culture-focused museum and art fair tours. Ann Arbor is a hidden gem in the Midwest, and Savor Ann Arbor lets you try out its many local foods, explore the campus of the University of Michigan, and more. 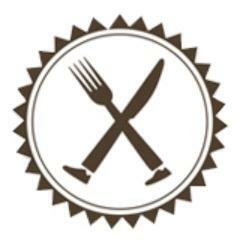 Taste 4 Travel offers food tours in Philadelphia curated by Chef Jacqueline Peccina-Kelly, also known as Chef Jacquie. Chef Jacquie is a professional chef whose intimate relationships with Philadelphia's shop owners and restaurateurs lend her tours an insider's access you won't find anywhere else. Why Taste 4 Travel is a Top Food Tour: Visit the country's oldest outdoor market, Philadelphia's Italian Market, and get a true insider's experience, or sample some of the city's best desserts if you're more into sweets. If an international culinary experience is what you're after, the East Passyunk Avenue Tour will introduce you to some of the hidden gems of Restaurant Row. Eating Italy Food Tours offers private tours in both Rome and Florence, as well as a home-cooking class in Florence. Why Eating Italy Food Tour is a Top Food Tour: They'll take you off the tourist trail to explore local restaurants, history, and culture in ways you could never experience on your own. You'll not only get to sample regional fare, but learn how it's made and what makes each region's cuisine unique. Melting Pot Food Tours offers tours of Los Angeles' many eclectic culinary districts. Co-founded by sisters Lisa and Diane Scalia in 2008, Melting Pot Food Tours shares their love of the food and cultures of LA with longtime residents and visitors alike. Why Melting Pot Food Tours is a Top Food Tour: Whether you want to explore the delicacies on offer at The Original Farmers Market or take a guided tour through Thai Town, they have a tour for you. They offer both private and large group tours where you can sample the best food LA has to offer and learn about the fascinating history and culture of the city's varied neighborhoods. 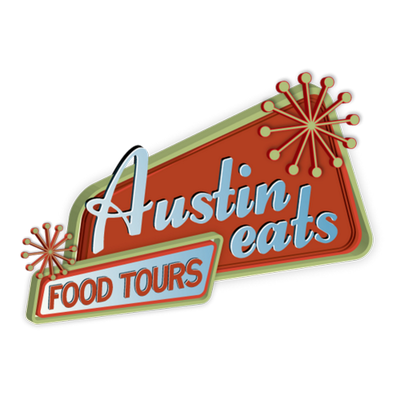 Austin Eats Food Tours gives visitors the opportunity to sample the best cuisine in this culturally-rich Texas city. Why Austin Eats Food Tours is a Top Food Tour: Climb aboard a bus for a unique tour of Austin's best food trucks, take a happy hour walking tour, or chow down on barbecue during a leisurely Saturday brunch. They also offer customized group and private tours, and accommodate walking, van, or bus tours, depending on what you group wants to do. Food Tour New Mexico brings visitors a variety of tours through the culinary scenes of Santa Fe and Albuquerque. Owner Nicholas Peña grew up in Santa Fe and loves sharing his hometown's culture and food with visitors through Food Tour New Mexico. Why Food Tour New Mexico is a Top Food Tour: They offer lunch and dinner tours alike, pairing delicious New Mexican cuisine with margaritas and craft beer. Whether you want to sample some of Santa Fe's fine dining at dinnertime or check out traditional local foods for lunch, this is your stop. Philly Food Adventures takes foodies on tours of Philadelphia's stellar Chinatown destinations. Founder and guide Jamie is a foodie and food blogger who loves eating adventurously and sharing those adventures on her tours. Why Philly Food Adventures is a Top Food Tour: Whether it's a staff retreat for work or a family outing, Philly Food Tours lets you sample the city's best Chinese food. You'll stop at five different establishments and taste foods from all across China's culinary landscape. 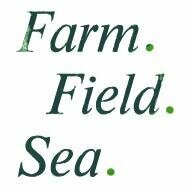 Why Farm Field Sea is a Top Food Tour: Their unique Farmer & Chef for a Day experience invites you harvest goodies from local farmers and then cook with local private chefs to turn your ingredients into a world-class meal. You can also tour local oyster farms, cruise the harbors, take a cooking class, explore the Vineyard's shiitake mushroom farms, and much more. Sonoma Food Tour offers food and wine walking tours in the peaceful town of Sonoma, California. 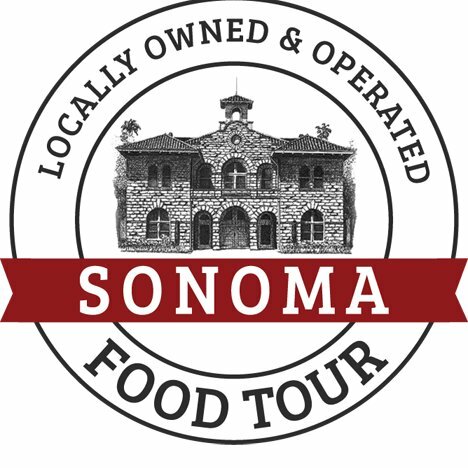 Why Sonoma Food Tour is a Top Food Tour: Visitors will go off the beaten path to explore locally-owned and operated restaurants, specialty food shops, and wine stores. Take their Wine Tour to taste some incredible California wines and learn about Sonoma's history, or their classic Food, Wine, and History tour for a feast for both your stomach and your mind. 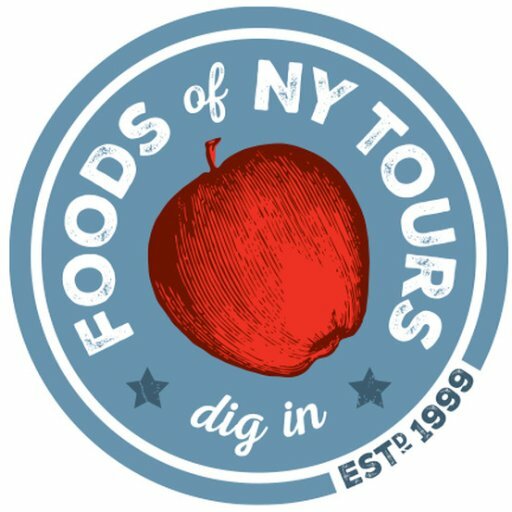 Taste of Troy Food Tours takes visitors on tours of the historic cities of Troy and Albany on the upper Hudson River with the help of an experienced local guide. 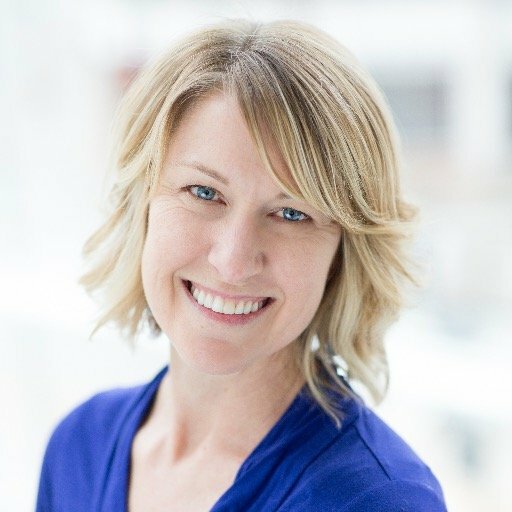 Founder Amy Koren-Roth is a registered dietitian/nutritionist and believes in the power of farmers markets and local culinary scenes as a means of learning about a city. Why Taste of Troy Food Tours is a Top Food Tour: You can experience the culinary culture surrounding Troy's vibrant year-round Farmers Market, or check out the exciting modern dining scene in downtown Albany. Along the way, you'll sample local culture and learn about the history and architecture in these fascinating cities from a local expert. Explore DC's iconic neighborhoods on walking tour where you will learn about the history of the area through multiple tastings, unique stories, architecture, and street art. 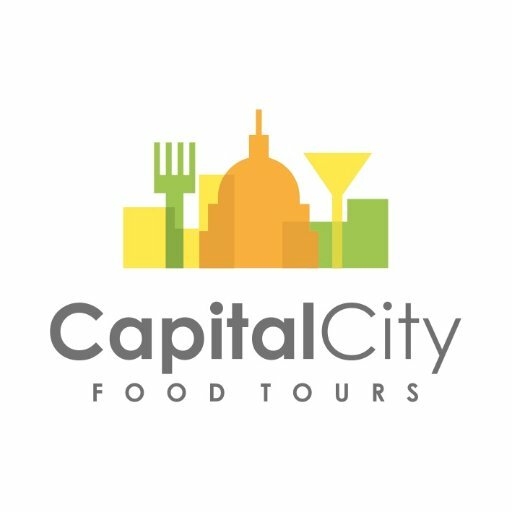 Why Carpe DC Food Tours is a Top Food Tour: Tours include: U St., Georgetown and custom private tour options. Best of all, a portion of each ticket purchased goes to charity, helping to feed Washington, DC, residents in need. City Tasting Tours of Memphis offers a range of tours through the city's culinary scene for private groups and events. Founder Cristina McCarter is a native Memphian and former food blogger who loves sharing her city and its food with visitors. Why City Tasting Tours is a Top Food Tour: You can tour the eateries of the Arts District or tour the city's hottest brunch stops. Nice Guy Tours offers small group walking food tours in New York City neighborhoods like Greenwich Village and the Lower East Side. Founded by CEO Dante Mercadante, Nice Guy Tours is out to disprove the myth that New Yorkers are unfriendly, one delicious tour at a time. 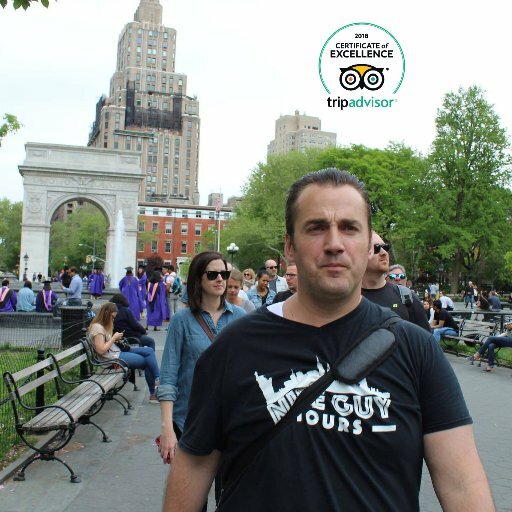 Why Nice Guy Tours is a Top Food Tour: You'll learn some surprising New York City history on each tour, which are guided by the company's CEO himself. They even offer a Food Truck and Cart Tour—perfect for feasting upon New York's legendary street food scene. Free Tours by Foot takes guests on walking tours around the world with a pay-what-you-can business model that means anyone can afford to participate. Why Free Tours by Foot is a Top Food Tour: Their licensed, local, freelance tour guides will lead your group with no upfront costs, and you'll decide what to pay at the end of the journey. They offer food tours in each city as well as sightseeing tours, boat tours, and more in some of the greatest cities in the world. Flower City Food Tours of Pittsford, New York, takes visitors on walking tours of the city, stopping off for great eats in between architectural and historical lessons. Why Flower City Food Tours is a Top Food Tour: Stroll along the famous Erie Canal and stop off at chef-selected eateries to learn why they've chosen Pittsford as their home. Explore Park Avenue, stopping off at eight unique establishments to taste the very best the city has to offer. Arthur Avenue Food Tours takes folks on a tour of Arthur Avenue in the heart of Little Italy. Founder and guide Danielle Oteri's family has roots on Arthur Avenue going back to 1918, when her great-grandfather opened a shop that later became a butcher shop that's still in operation (but with different owners). Why Arthur Avenue Food Tours is a Top Food Tour: Their private tours last two hours and feature tastings from dozens of local Italian eateries. Whether it's a birthday party, a corporate retreat, or a reunion, their guides love to celebrate with you and share their love of Italian food. 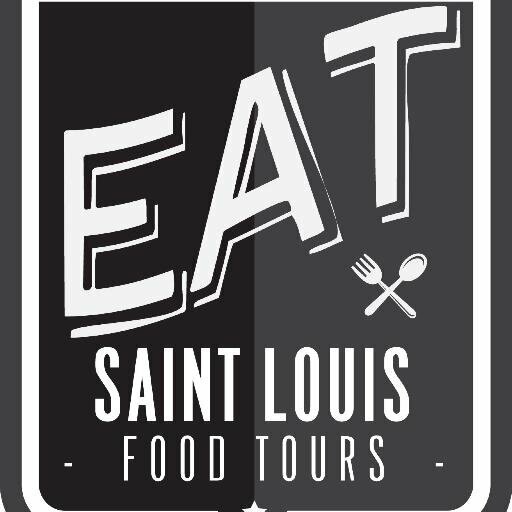 EAT Saint Louis Food Tours offers two walking food tours in St. Louis geared toward helping folks discover their new favorite restaurants. Founder Pete Manzo has a deep love of food that was instilled in him by his Sicilian immigrant parents and the specialty grocery store they owned as he grew up. Why EAT Saint Louis Food Tours is a Top Food Tour: They offer a tour of Italian eateries in The Hill, as well as Mexicali food and pub stops in a Soulard tour. Participants will not only taste tons of delicious courses, but also learn about the history of each neighborhood, its architecture, and more. Burgh Bits & Bites Food Tours of Pittsburgh is a fun, unique way to get to know the city with an eclectic range of tours of some of the city's finest neighborhoods. Founder and Tour Guide Sylvia is a Pittsburgh native. Her experience from living abroad is what inspired her to create Burgh Bits and Bites in Pittsburgh. Why Burgh' Bits & Bites Food Tours is a Top Food Tour: Visit the Strip District to sample international cuisine and local produce, visit Little Italy, or hit up some local cuisine Lawrenceville. On each tour, you'll not only fill up with great food but also knowledge about the community and the city at large. Santa Barbara Tasting Tours offers a blend of tastings, local history, and culinary education in this beautiful California town. Founder Allison Costa has been running food tours for over seven years, and has been a freelance food writer for publications in Ojai and Ventura. Why Santa Barbara Tasting Tours is a Top Food Tour: In addition to tours in Santa Barbara, they also offer a tour of downtown Ventura and one of the relaxation and wellness destination of Ojai. Sample some of California's best local wines, chow down on unique eats from great local restaurants, and get to know gorgeous, serene coastal towns with Santa Barbara Tasting Tours. Taste Kennett Food Tours of Kennett Square, Pennsylvania, offers three-hour guided walking tours of this friendly community. 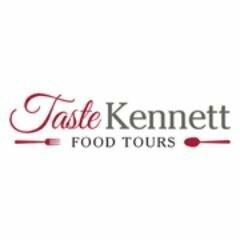 Why Taste Kennett Food Tours is a Top Food Tour: Guests will visit restaurants, markets, a winery, and a brewery, sampling the wares along the way and getting to know local businesses. You'll sample unique ethnic cuisine and local brews, and learn why Kennett Square is known as the Mushroom Capital of the World. Madison Eats Food Tours allows visitors to sample local eats from a variety of restaurants in Madison's unique neighborhoods and scenic downtown. Otehlia Cassidy founded Madison Eats Food Tours in 2012 to connect people through food, cooking classes, and special foodie events. Why Madison Eats Food Tours is a Top Food Tour: Check out the craft beer and bites of the east side Atwood neighborhood, or sample international cuisine along the famous Willy Street. If classic Wisconsin fare is what you're after, their Capital Square Downtown Tour lets you sample cheese, ice cream, and more made-in-Wisconsin treats. Little Italy Tours of San Diego, California, provides guests with two different tour options through their city's historic Italian quarter. 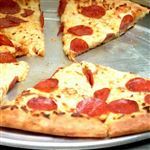 Why Little Italy Tours is a Top Food Tour: You can take their pizza-centric tour to sample some seriously gourmet pies, or the Old School Little Italy Tour to sample traditional Old World Italian recipes. Their tour guides know the chefs, the neighbors, and the venues, and provide their guests with an informative, educational, and authentic Little Italy experience. Taste Frederick Food Tours combines tasty food with a walking tour and insight into the history of this Maryland town. Founder Sarah Withers has a passion for food and love for her hometown that has led her to share both through Taste Frederick Food Tours. Why Taste Frederick Food Tours is a Top Food Tour: Not only will you discover some great local restaurants and eat scrumptious foods, but you'll be supporting local small business as you go. The Market Street Food Tour is their flagship offering; it provides six tastings, with local craft beer, artisan chocolates, and more all included. Desert Tasty Tours offers three-hour guided culinary and cultural tours in Palm Springs and Palm Desert in California. Owner Kristy Kneiding has lived in the Palm Springs area for 25 years and created Desert Tasty Tours in 2012 to bring food, arts, and culture together in the Palm Desert year-round. Why Desert Tasty Tours is a Top Food Tour: With incredible food as well as cultural, historical, and architectural lessons from experienced guides, your brain and your belly will be equally full. Chomp on some world-famous pizza, locally-made toffee, sample and learn about gnocchi, and more. Savor Gettysburg Food Tours takes guests on a walking and dining tour of this historic Pennsylvania town, stopping at several ethnic eateries, taverns, and more along the way. Why Savor Gettysburg Food Tours is a Top Food Tour: This small town offers big attractions, from museums and sculptures to its storied Civil War battlefields, alongside a surprisingly robust culinary scene. They offer a downtown culinary tour as well as a wine and cider tour, a Christmas tour, a farmers market tour, and more. Local Table Tours of Colorado takes visitors to some of the hottest dining locations on the Front Range. Founder and Lead Guide Megan Bucholz is a food blogger and traveler who has lived in Boulder for the past 12 years and believes in the power of farm-to-table dining. Why Local Table Tours is a Top Food Tour: It operates in Denver, Boulder, and Fort Collins, with opportunities to visit 60 of the best restaurants and bars in the region. Taste delicious cocktails and local beers, experience progressive dinners, and explore the up-and-coming food scene of Colorado like a local would. Indulge Boise Food Tours offers three different tours of Boise's thriving culinary scene, curated in collaboration with the award-winning chef Victor Scargle. 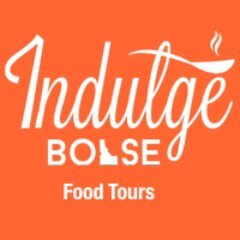 Why Indulge Boise Food Tours is a Top Food Tour: The Historic Downtown Boise Food and Cultural Tour, for example, boasts ten tastings and a guided stroll through the city's beautiful downtown. They also offer a brunch tour and a beer and booze-centric happy hour tour. Savor Seattle Food Tours takes you on a culinary and cultural adventure through some of Seattle's most iconic locations. 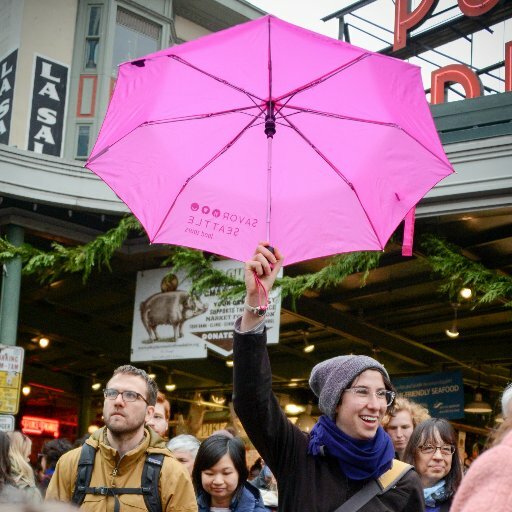 Why Savor Seattle Food Tours is a Top Food Tour: Visit Pike Place Market and go behind the scenes with seven different vendors, or go on a gourmet tour to sample great food with some surprising twists. If you have a sweet tooth, the Chocolate Indulgence Tour, in which you'll sample every kind of chocolate you could ask for, might be right up your alley. 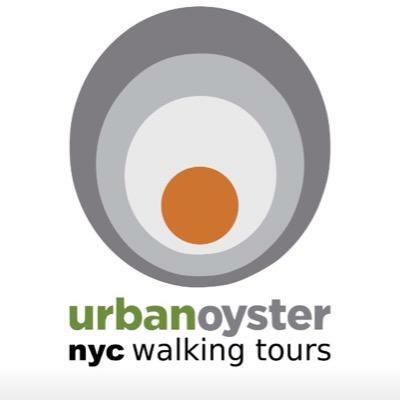 Urban Oyster offers unique, interactive tours through New York City, sampling local food, beer, and cocktails along the way. Founder David Naczycz, an amateur historian and decade-long resident of New York City, has also built an urban sustainability consulting practice to help keep New York a great place to live. Why Urban Oyster is a Top Food Tour: Visitors can explore Brooklyn's robust craft beer scene and learn about its history, see the sights and taste the flavors of Midtown Manhattan, and much more. They even offer a private winery, distillery, and brewery tour with three pairing tastings. Asheville Farm to Table Tours in North Carolina introduces foodies to their city's freshest local foods by taking them direct to the source. Why Asheville Farm to Table Tours is a Top Food Tour: You can visit farms, sampling cheese, chicken, beef, lamb, and more, and learning about sustainable farming. This is a unique opportunity to sample the freshest, tastiest, and most wholesome local foods while learning about environmentally-friendly farming. 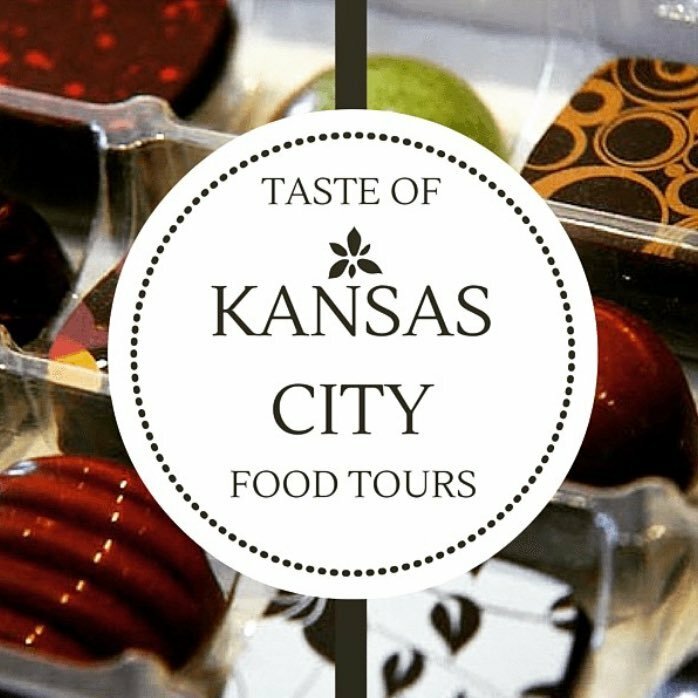 Taste of Kansas City Food Tours offers both private and group tours of one of America's hottest food cities. Why Taste of Kansas City Food Tours is a Top Food Tour: You can check out some of the best foodie destinations in the city, or go on a cocktail and Prohibition tour and learn about the city's wild Prohibition history. Their flagship KC Streetcar and Culinary Tour will take you through some of the best local eateries on a tour of the city aboard new KC Streetcar. All of their other tours are given aboard a 14 passenger bus. Carlsbad Food Tours is the only food tour in Carlsbad, California, exploring the tasty cuisine and unique culture of this oceanside town. Owner and Founder Cherimarie Poulos has lived in San Diego for over 20 years, and has a deep love of Carlsbad and sharing its culture and food with the world. 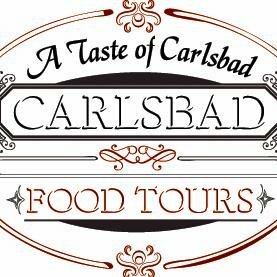 Why Carlsbad Food Tours is a Top Food Tour: They offer a classic tour of great Carlsbad eateries, as well as their Indulgence Food Tour, which takes you to some of the town's newest establishments. If you're interested in learning more about dining, culture, and events in Carlsbad, they also have an email newsletter you can sign up for on their website. Rocky Mountain Food Tours in Colorado Springs takes visitors through a foodie's dream of eateries at the base of the stunning Pikes Peak. Owner and Lead Tour Guide Samantha Wood helped launch Rocky Mountain Food Tours in 2010 with her mom and has become a voice for local business. 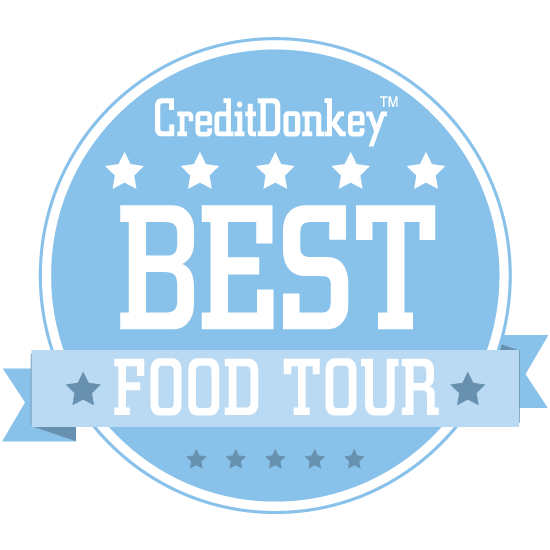 Why Rocky Mountain Food Tours is a Top Food Tour: Choose from a downtown tour of five delicious local establishments or the once-a-year Care and Share Benefit Tour, which benefits a local food bank. 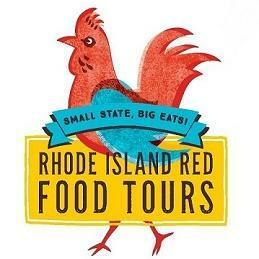 Rhode Island Red Food Tours offers 3- to 3.5-hour walking tours of some of Rhode Island's best local eateries. Founder Paula Silva is a real estate professional who has been living in Rhode Island for 20 years and loves both the local food and culture almost as much as she loves sharing it with others. Why Rhode Island Red Food Tours is a Top Food Tour: You'll get to know the cities you're in through its food, explore its culture and landmarks, and learn about its regional foods and where the locals eat. In each tour, participants sample unique food and drinks from at least six different local establishments, resulting in a well-rounded, eclectic experience. 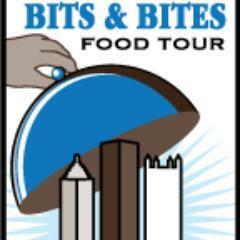 Tour De Food offers food tours in Charlotte, Davidson, and Winston-Salem, North Carolina. Why Tour De Food is a Top Food Tour: With seven options to choose from, you can explore different parts of each city and town while sampling some of the best food they have to offer. Along the way, you'll meet the chefs and artisans who craft these culinary delights and learn how they're made. The Big Foody Food Tours lets guests get to know a city through its famous sights, culture, and most of all, its food. 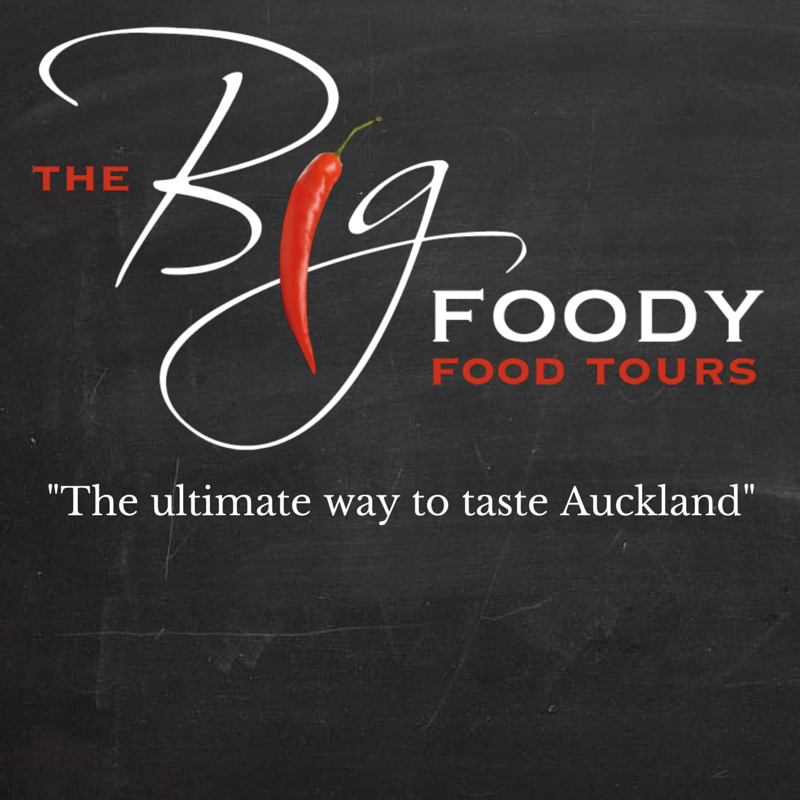 Why The Big Foody Food Tours is a Top Food Tour: They offer food tours in Auckland and North Canterbury, New Zealand, as well as the famous foodie destination of Portland, Oregon. Their Tastebud Tour of Auckland, where the company originated, is a relaxing driven tour in which you'll sample locally-roasted coffee, locally-made cheese, and much more. 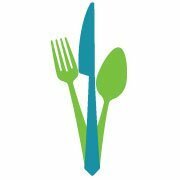 Chicago Dine-Around is a corporate event planning company that creates unique dining experiences for large groups. Why Chicago Dine-Around is a Top Food Tour: They can turn your corporate event into an engaging progressive dining experience through some of Chicago's best restaurants. They'll even gladly arrange dinner and a show for your event, helping you and your attendees experience fine dining and great entertainment with ease. They also have an Interactive Culinary Experience where guests work with food ingredients and in teams, and is ideal for team-building. Walk Eat Nashville takes guests on walking food tours of Music City, stopping to eat at a handful of the city's best restaurants along the way. 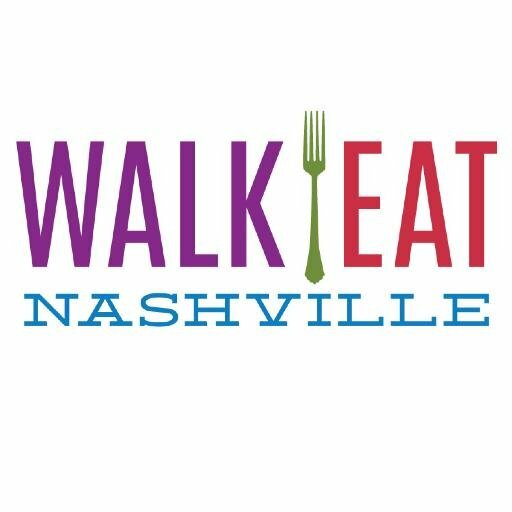 Why Walk Eat Nashville is a Top Food Tour: They offer tours in three different neighborhoods: in Downtown Nashville; in East Nashville; and near Vanderbilt University. All of them stop into chef-owned restaurants and include a broad range of tastings. The affordable three-hour tours explore up to six establishments to try foods traditional and cutting-edge while taking in local sights. Key West Food Tours offers unique, small group guided tours through local restaurants and flavors you might not discover if you stay on the tourist trail. 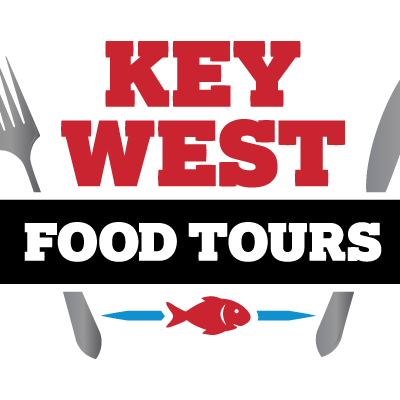 Why Key West Food Tours is a Top Food Tour: Their Seafood Lover's Tasting and Cultural Walking Tour takes you through a menu of fresh, local ingredients straight from the waters off Key West. The Southernmost Tour, meanwhile, lets you sample must-try local dishes like Key Lime Pie from establishments that helped make them famous. Rocktown Bites offers visitors the opportunity to eat and drink their way through Harrisonburg, Virginia's lively culinary district. Why Rocktown Bites Food Tour is a Top Food Tour: Running on Saturdays, you'll walk through the neighborhood and make stops at five unique independent restaurants. There, you'll sample food, craft beer, and Virginia wines while learning from the restaurateurs and head chefs. Columbus Eats Food Tours in Georgia lets visitors discover some of the best dining spots in Uptown Columbus. Owner Shannon G. Zimmerman completed food tour training in Chicago, making her a certified Food Tour Professional, and also owns a local catering company. 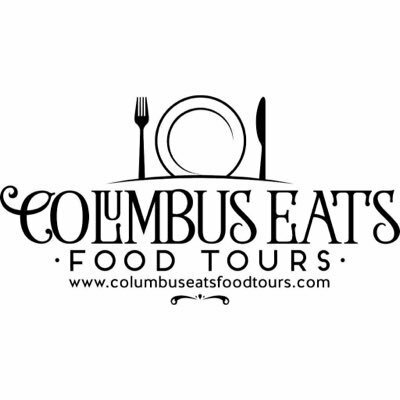 Why Columbus Eats Food Tours is a Top Food Tour: Along the way, you'll learn about the history and architecture of this Southern city and support local business owners. You'll also get to sample some tasty treats from a deli, a juice shop, a bakery, and many more locations. Sugartooth Tours shows diners the sweeter side of New York City, with dessert-centric tours exploring some of New York's most iconic areas. 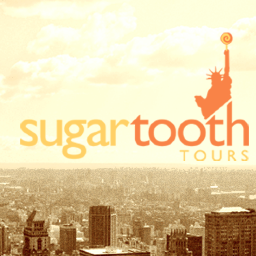 Sugartooth Tours was founded by Allyson Tolbert and Sarah Rolleston in 2012 with the aim of sharing their love of New York's culture and history, not to mention their passion for sweets. Why Sugartooth Tours is a Top Food Tour: Stroll down Broadway, learning about the history of the world's most famous theater district while sampling classic New York desserts, or cool off in the summer with an ice cream tour. With tours also visiting Hell's Kitchen, Chelsea, Union Square, and other destinations, this is a great way to see the sights while satisfying your sweet tooth. Savannah Taste Experience offers up tasting tours of popular local restaurants and hidden gems in this gorgeous Georgia city. Why Savannah Taste Experience is a Top Food Tour: You can take a tour of some of downtown Savannah's best restaurants, or go off the tourist trail and find unique flavors on the East Side. Along the way, you'll learn about Savannah's storied history and take in its stunning architecture. 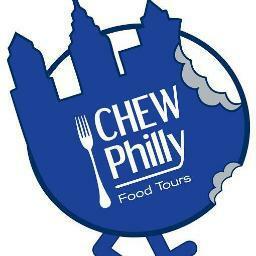 Chew Philly Food Tours provides a range of walking tours to some great Philly foodie destinations. Why Chew Philly Food Tours is a Top Food Tour: Take their Authentic Philly Food Tour to get your hands on the best cheesesteak in town, or check out their Haunted Food Tour to mix tasty treats with spooks and scares. Their Chestnut Hill food tour, meanwhile, takes visitors through one of Philadelphia's most beautiful neighborhoods for an indulgent, progressive lunch. Food Tours Atlanta offers two unique tours in one of the South's best foodie cities. Why Food Tours Atlanta is a Top Food Tour: You can explore the historic Inman Park neighborhood, taking in its art gallery and stopping at six tastings, or check out Ponce City Market, Atlanta's newest food hall. They can facilitate both private and corporate events, depending on your needs, and also offer gift cards on their website. Syracuse Food Tours is a one-of-a-kind culinary adventure that takes participants through some of downtown Syracuse's tastiest local establishments. Why Syracuse Food Tours is a Top Food Tour: Their three-hour walking tour takes you through award-winning restaurants to sample local fare in between stops at historical and cultural landmarks. From barbecue to baked goods, foodies will love the local-approved delicacies on offer on this tour. Capital City Food Tours lets visitors experience the city of Madison, Wisconsin, in a day packed with local flavor. Founder Brittany Hammer discovered her love of cuisine while studying abroad in Argentina, and created Capital City Food Tours to share her passion with others. Why Capital City Food Tours is a Top Food Tour: Chow down on some classic Wisconsin cuisine around the Capitol Square, or explore one of Madison's most historic neighborhoods with the 5th Square Tour. From Wisconsin cheese to local craft beer to gourmet bratwursts, you'll get a full Wisconsin experience here. Bite San Diego Tours offers a wide range of tasty trips through this Southern California city. Why Bite San Diego Tours is a Top Food Tour: Take a walking tour of downtown, starting in the historic Gaslamp Quarter, and sample the dishes at some of the city's top restaurants or some local flavor in Encinitas. Bite also offers private tours for groups of anywhere from 10 to 100, fully customizable in everything from the date to the running time to the stops along the way. Chicago Foodways Tours takes visitors through some of the city's most unique neighborhoods in a city that has hundreds of them. Owner/Operator Phyllis Petrilli has spent years teaching cooking classes in Chicago and loves sharing the culinary wonders of her city with visitors. 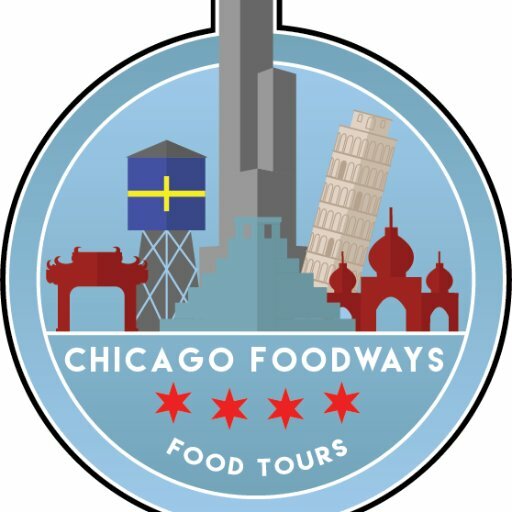 Why Chicago Foodways Tours is a Top Food Tour: Visit Argyle and Andersonville, two Chicago's top neighborhoods, for international fare from countries like Sweden and Vietnam. If Italian cuisine is more your speed, you can check out their 6-course tour of Little Italy. 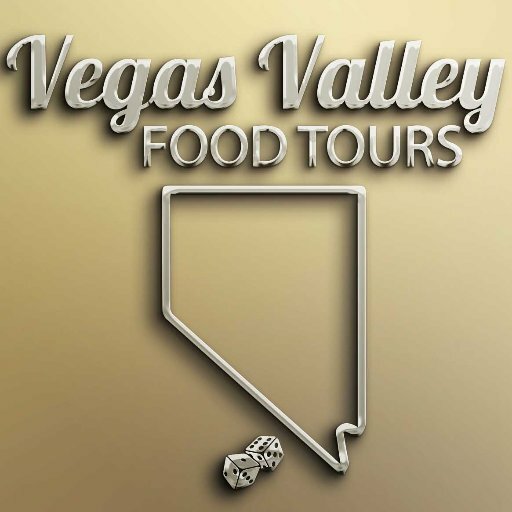 Vegas Valley Food Tours are the original downtown Las Vegas foodie tours, exploring various aspects of the city's stellar culinary scene. Why Vegas Valley Food Tours is a Top Food Tour: Their Downtown tour boasts over six different stops with a professional tour guide who knows plenty of insider information about the city's unique and fascinating history. They also have two new tours launching in 2018; check their website to learn all about those for your next Vegas visit. Savor Saint Louis Food Tours combine several delectable tastings with walking tours of some of the city's most historic and foodie-friendly neighborhoods. Savor Saint Louis was founded by the Smith family, who have also been the owners and operators of the popular Royale Food & Spirits for the past 13 years. 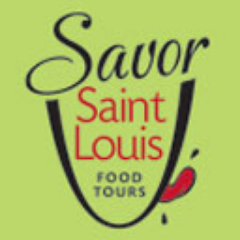 Why Savor Saint Louis Food Tours is a Top Food Tour: Visit the foodie haven of the Central West End, check out the hippest Downtown restaurants, or explore the diverse, delicious options on the Delmar Loop. You'll get to sample a wide range of carefully-chosen foods, guaranteeing a diverse, unique experience. Mangia Hoboken is a food and culture tour through the city of Hoboken, New Jersey, with stops at some of the most authentic Italian gourmet food establishments in the country. Why Mangia Hoboken! The Hoboken Food & Culture Tour is a Top Food Tour: Visit the home of The Learning Channel's Cake Boss, sample heavenly mozzarella and coal brick oven pizza, and more. Hoboken is as little as eight minutes outside of New York City, making this a great day trip for those looking for a unique, authentic Italian experience. This tour has been operating for 10 years. Chicago Food Walks with Rebecca Wheeler provides private food tours through some of Chicago's best neighborhoods. Rebecca Wheeler is a cooking instructor and world traveler who loves to serve as a cultural ambassador for Chicago's many diverse neighborhoods. Why Chicago Food Walks with Rebecca Wheeler is a Top Food Tour: You can sample Southeast Asian cuisine on Argyle Street, Chinese delicacies in Chinatown, or Indian and Pakistani food on Devon Avenue. These tours go off the beaten tourist path to dive into the heart and soul of the diverse city of Chicago, making for a great family experience or way to introduce newcomers to the town. Foodie Foot Tours offer walking culinary tours in Oklahoma City and Tulsa, exploring the cities and chowing down on great food along the way. Owner Ashley Stevenson discovered her love of food on a high school trip to Africa, and aims to introduce visitors and locals alike to the culinary scenes of Oklahoma City and Tulsa. 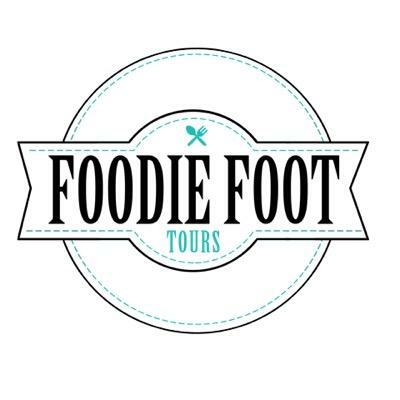 Why Foodie Foot Tours is a Top Food Tour: They take their tours through historic neighborhoods with a knowledgeable guide, stopping at anywhere from three to five establishments along the way. Explore African American history in Oklahoma City with the Deep Deuce tour, visit historic Route 66 on the Uptown 23rd tour, or visit the Tulsa Arts District for some culture and culinary delights. Tour de Forks offers unique culinary experiences in countries and cultures all over the world, including Spain, Turkey, South Africa, and the United States. Founder Melissa Joachim created Tour de Forks in 2003, and has a love of both food and culture ignited by a three-year journey around the world. Why Tour de Forks is a Top Food Tour: On each of their tours, you'll meet local chefs and artisanal producers and sample traditional cuisine from street vendors and Michelin-starred restaurants alike. Each tour will also take you past and through architectural and cultural landmarks as you explore your surroundings while staying in world-class hotels. Chicago Candy Tours takes visitors on a walking tour through the history of candy in Chicago. Guide Jenny Lewis is a professional pastry chef and culinary educator with over 20 years of experience in the food service industry. Why Chicago Candy Tours is a Top Food Tour: You'll sample plenty of sweet treats as you learn about Chicago's important place in the chocolate and candy industries. In addition to their traditional candy tour, they're also offering a ""boozy"" edition in which you can sample delectable, liquor-infused candies. Avital Food Tours offers walking food tours for curious eaters in New York, Los Angeles, and San Francisco. Why Avital Food Tours is a Top Food Tour: Their progressive, 4-course dining experiences bring diners appetizers, entrées, and desserts, each from a different restaurant and designed to showcase each neighborhood's culture. They'll even take you back into the kitchens to meet the chefs, learn about the food, and have conversations with your fellow diners and restaurant professionals. Maine Foodie Tours offers delicious tasting opportunities in cities like Portland, Bar Harbor, Kennebunkport, and Mid-Coast Maine. Director Pamela Laskey is a foodie through-and-through; she loves learning about local cuisine and up-and-coming chefs and sharing what she learns with visitors. Why Maine Foodie Tours is a Top Food Tour: Their tours are limited in size, making them highly interactive, and each stops at anywhere from four to seven tasty destinations. Their highly entertaining guides will teach you all about the history of each town as you stroll to each restaurant to sample delectable local cuisine. 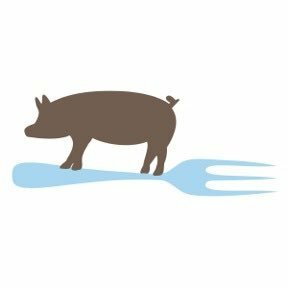 They are Maine's Premier culinary tour company since 2009, offering a tasty mix of restaurants, bakers, chocolatiers, brewers, distillers, cheesemongers, fish handlers and more. Maine Foodie Tours showcase all that is local and delicious in educational and entertaining tours with insider information you would not find elsewhere. Jackson Hole Food Tours mixes tasty food, stunning natural scenery, and a local guide's insights into one entertaining—and filling—tour. Owner Michael Moeri founded Jackson Hole Food Tours in 2014 to give visitors, friends, and tourists alike a glimpse into the great culinary scene of his town. 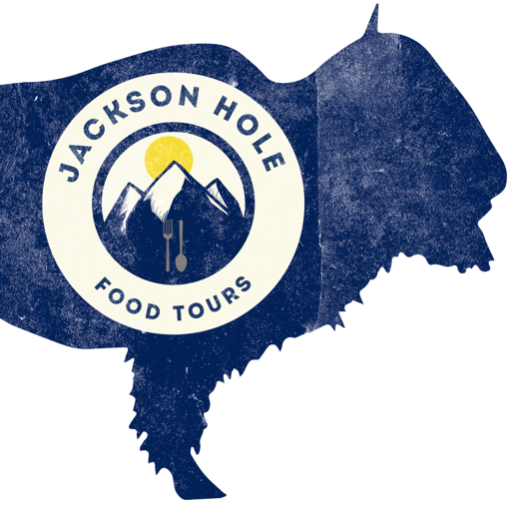 Why Jackson Hole Food Tours is a Top Food Tour: Visitors will stop at four or five local eateries and fine dining establishments as they learn about the rich history of Jackson Hole. Everyone knows that Jackson Hole is one of the most scenic towns in the country, but few know about its great culinary scene; this is your ticket to discovering it. Knoxville Food Tours offers a new way to experience this Tennessee city: with a tour of some of its best restaurants. 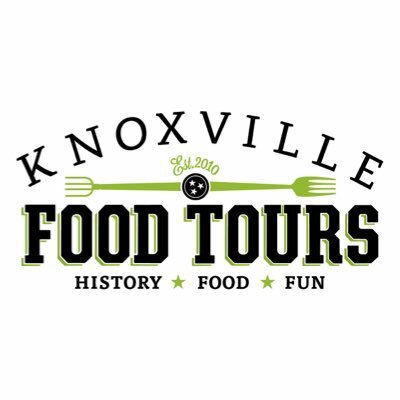 Why Knoxville Food Tours is a Top Food Tour: You'll explore a revitalized downtown, stopping at both new and iconic restaurants and chowing down on local products. You can add pairings from local craft breweries or sample some local Tennessee whiskey or even moonshine, too. Atlanta Food Walks offers two leisurely walking tours of the city, each exploring a different neighborhood and different foods. Founder Akila McConnell is a food and travel writer who loves making local food more accessible to all; she has lived in Atlanta for almost two decades. Why Atlanta Food Walks is a Top Food Tour: The Downtown Southern Food Walk explores the surprising history of traditional Southern food, and you'll sample classics like barbecue and moonshine. The Grant Park Past and Future Food Walk, meanwhile, is an opportunity to learn about Atlanta's culinary history while sampling the unique, classically-inspired dishes of its modern chefs. Catalina Food Tours lets visitors to this famous California island experience the town of Avalon and its culinary delights through the eyes of a local. Head Foodie Erin Eubank spent all of her summers in Avalon while growing up, and also owns a coffee shop on the island. 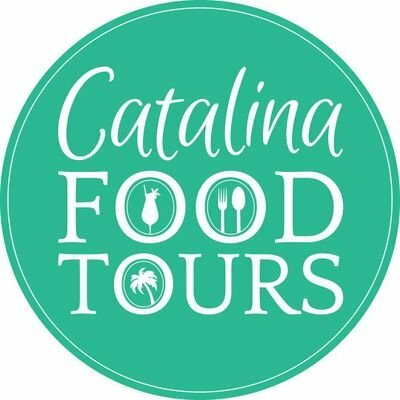 Why Catalina Food Tours is a Top Food Tour: Take the Avalon Tasting and Cultural Walking Tour to sample some of the best food on the island while learning about its history, or snack and drink your way through Avalon with the Catalina Happy Hour Tour. They also offer private tours for groups of all sizes that would rather customize their own experience. Hawaii Food Tours takes visitors on a culinary journey through Hawaii packed with authentic local cuisine. Founder and Owner Matthew Gray is a former celebrity chef who has gone on to become a food writer and wine expert in Hawaii. Why Hawaii Food Tours is a Top Food Tour: Their tours include transportation, so there's no need to walk, and stops at shops, marketplaces, bakeries, and more. Starting in Waikiki, their guides will pick you up and whisk you away to sample delectable barbecue dishes, tasty locally-grown fruits, baked goods, and much more. Eat Seattle offers a variety of cooking classes, food tours, and mixology lessons in one of America's most scenic cities. Chef and Owner Liz McCune was classically trained at Le Cordon Bleu in Paris, and has been a practicing chef in Seattle for fifteen years. Why Eat Seattle is a Top Food Tour: Eat Seattle offers private food tours as well as cooking classes where you'll learn world-class techniques. 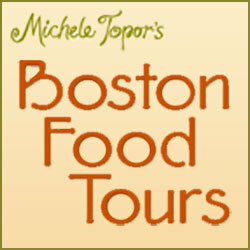 Boston Food Tours has been offering culinary adventures through this world-famous city since 1994. Founder Michele Topor is a 40-plus-year resident of Boston's North End and has taught and consulted on Italian cooking since 1979. Why Boston Food Tours is a Top Food Tour: Their North End Market Tour lets their guests experience one of the most authentic Little Italy neighborhoods in the country, tasting and learning about traditional Italian cooking along the way. They also offer a speaker series about Italian heritage, a virtual tour of the North End Market, and more. No Taste Like Home is an ecotour and educational organization that has been offering foraging tours for over 23 years. CEO Alan Muskat is an author and the founder of the country's first forage-to-table tour company. Why No Taste Like Home is a Top Food Tour: Based in Asheville, North Carolina, their tours will take you into scenic natural environments to hunt for edible mushrooms, berries, greens, nuts, and more. With sustainability and natural foods at the forefront, these educational tours will help you see the natural world around you, and the food you eat, in a whole new light. Rochester Food Tours in Minnesota offers a leisurely, three-hour food and walking tour with stops at five different tastings. Founded in 2013 by husband-and-wife team Brianna and Mike, Rochester Food Tours loves sharing the food and history of the Mayo Clinic's hometown with visitors and residents alike. Why Rochester Food Tours is a Top Food Tour: You'll get to try some unique and tasty foods while exploring and learning about downtown Rochester with a knowledgeable, passionate foodie as your guide. Their Minnesota Made tour is a great option for visitors to the state; it's all about learning about Minnesota 's products, foods, and heritage. Coloratour has been offering food and culture tours of the beautiful Mediterranean island of Corsica since 2008. Founder Oliver is a serial entrepreneur who has been active in the mentoring business for 15 years and holds the French Official National Tour Guide Accreditation Card. Why Coloratour is a Top Food Tour: Their offerings include wine, food, and garden tours, with stops at some of Corsica's most stunning sights. The Grand Tour of Wild Corsica, their flagship tour, combines all three, with delicious food, delectable wines, and stops at beautiful gardens and even Napoleon's hometown. Triangle Food Tour offers several walking tours through North Carolina's famous Triangle, including in Raleigh, Durham, and Cary. Founder Leigh Eckle, a Triangle resident since 1994, knows the area well and loves sharing its culinary treasures with others. Why Triangle Food Tour is a Top Food Tour: Each tour is a leisurely walk through beautiful, historic neighborhoods where you'll sample the best local eats and learn about each city's history and architecture. They also offer custom group events, and will use their connections and work within your restrictions to help you craft a perfect food tour for you and yours. Walla Walla Food Tours offers a number of fun, adventurous culinary experiences in this Washington town. Why Walla Walla Food Tours is a Top Food Tour: Spend an afternoon with their downtown lunch tour, where you'll stop at six different establishments and taste three alcohol pairings along the way. Their unique Ghost Tour, meanwhile, blends flavors with thrills as you learn about Walla Walla's ghostly history in between stops at tasty restaurants. Boston Chocolate School and Tours offers two chocolate tours in Boston's Back Bay in which visitors can learn about the history of chocolate and how high-end confections are made, and, of course, sample some tasty treats. Why Boston Chocolate School and Tours is a Top Food Tour: Two tours are on offer: the traditional Back Bay Chocolate Walk and the Spirited Back Bay Chocolate Walk, which adds a little booze to the proceedings. You'll get to sample chocolates from five local shops, learn about chocolate's history in Massachusetts, and see some of Boston's most historic sights. 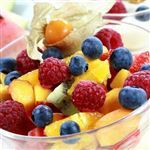 Share on Facebook "Best Food Tours"